I wanted to share with you the latest developments that the PowerAddon team is about to launch with the new 2018.5.0.0 release. This new release, coming out at the end of July, will contain not only the resolution of some minor BUGs but also recent features for sending newsletters, and especially the arrival of the Microsoft Dynamics 365 Social Media Manager. PowerSocial is a tool for Social Marketing Management. For now, we have implemented only the Twitter interface. However, in the upcoming minor releases, we will also add Facebook, Instagram, and LinkedIn. 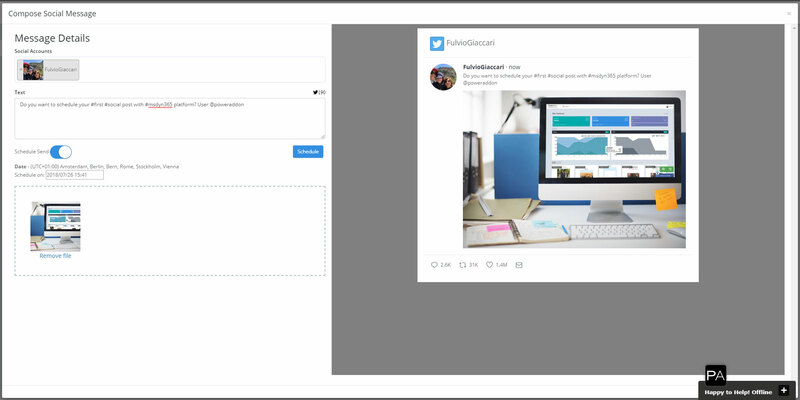 The tool will allow you to create custom streams, preview messages that will be posted on social media, as well as add and listen to competitors, partners, and specific hashtags. But above all, you can organize the best social media campaigns by scheduling posts to be published. The PowerSocial Editor is a very simple yet powerful tool that allows not only for composing a post but scheduling and previewing it. There is also the ability to load up to five different images among the various editor functions. 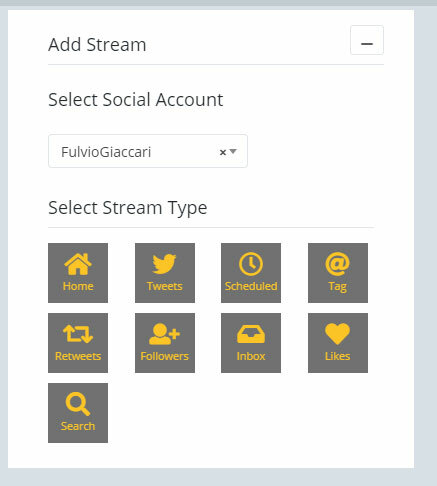 One of the great features of the “PowerSocial Media Manager” is to organize and better manage our social streams. 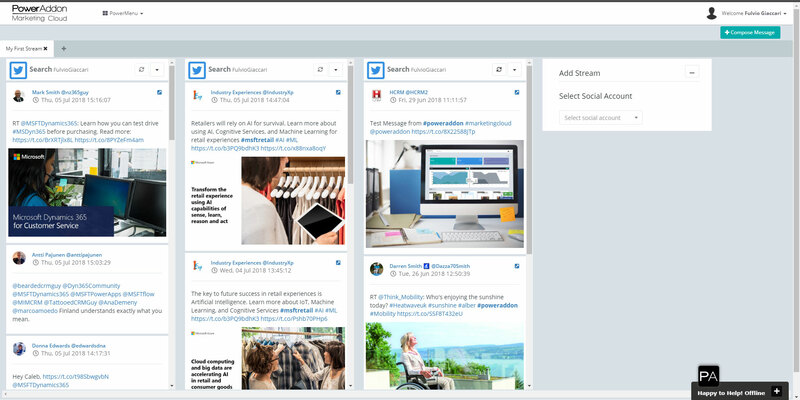 The tool allows you to generate and organize the various “SOCIAL TABS” and create customized streams within each of them. Search: This feature enables looking for anything that one might want to search for and monitor within the Twitter DB. The search function will immediately help pull the 20 most used hashtags on Twitter during the last hour. It will of course be possible to enter any type of research. These are just some of the possibilities made available by the PowerSocial Media Manager. What is there to say? Please look forward to the next articles.